I did not know that medical advances had such an influence on artists and the art that they create. Using body scans like MRI’s and x-ray’s help to show how the human body looks and works, to create art from something that is already seen as an art form, the human body. The modern version of the Hippocratic Oath refers to anything done to the physical body as art, “there is an art to medicine” (Tyson NOVA). This Oath dates back to the earth fifth century, showing that the body was always seen as a work of art. Technology has helped to further the art that is created from the anatomical body structure. Not just art based on the body but also architecture reflects structures of DNA and genetics. Architecture has been influenced by body structures since “the emergence of DNA [,] and genes gave rise to a new mechanism for generating structural diversity” (Ingber 57). Art tries to express emotions through whatever the art work is, so the emergence of technology that is able to look into the brain, the origin of all human activities, created a new way of “a technique of self-portrait” (Casini 75). I however agree with the author when he says “yet what these images really show remains a debated issue, because they are far from being transparent windows into the inner self,” a brain scan cannot show what a human is really thinking (Casini 75). An art piece conveys emotion through the brush strokes, colors and shadows. So perhaps if an artist drew the brain scan with different colors, highlighting certain parts of the brain the art artistic aspect would be more apparent. This image is one that is trying to highlight the argument that “artists have more grey matter in the parietal lobe;” the use of this image is to show that the article is about an artistic topic not purely scientific (Brooks). 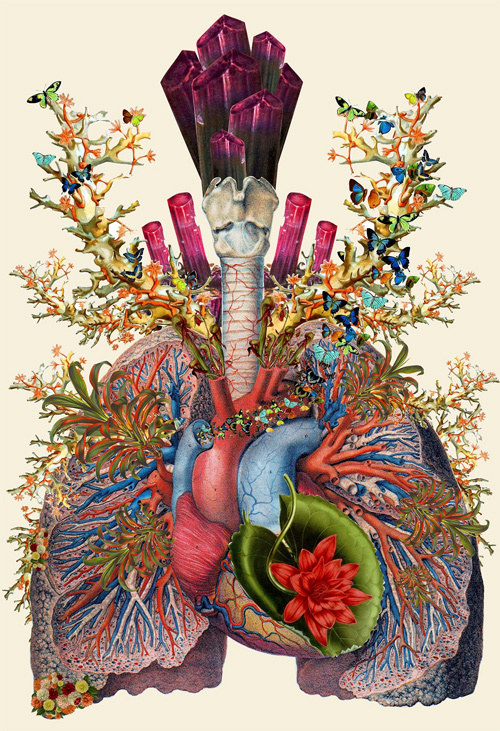 I like the interpretation Travis Bedal takes to anatomy, he creates art by “joining anatomy figures to different fauna and flora” (Acebedo Naldz Graphics). He is going past just the use of human body anatomy, and introduces animal anatomy as well as those of plants and flower; but he combines the two using the same structures, of each anatomical being, to complement each other. Acebedo, Ebrian. 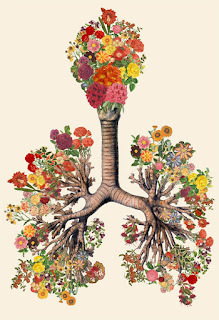 "An Art That Shows What Happens When Anatomy Meets Flora And Fauna | Naldz Graphics." Naldz Graphics An Art That Shows What Happens When Anatomy Meets Flora And Fauna Comments. N.p., 07 Apr. 2014. Web. 24 Apr. 2016. Brooks, Katherine. 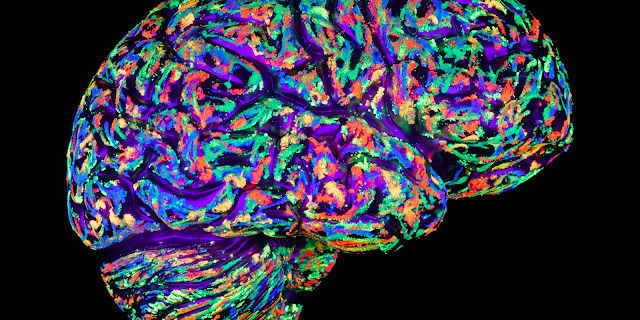 "Artists' Brains Have More 'Grey Matter' Than The Rest Of Ours, Study Finds." The Huffington Post. TheHuffingtonPost.com, 22 Apr. 2014. Web. 24 Apr. 2016. Casini, Silvia. "Magnetic Resonance Imaging (MRI) as Mirror and Portrait: MRI Configurations between Science and the Arts." Configurations 19.1 (2011): 73-99. Web. Ingber, Donald E. "The Architecture of Life." Sci Am Scientific American 278.1 (1998): 48-57. Web. Tyson, Peter. "The Hippocratic Oath Today." PBS. PBS, 27 Mar. 2001. Web. 24 Apr. 2016.